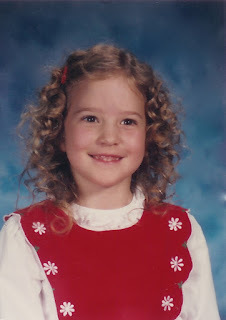 I've always felt like a "jack of all trades, master of none" kind of person; I dabble in photography, cooking and baking, graphic design, writing and child-rearing, and each time demonstrate repeatedly that I am little more than a novice at each task. I do hope, however, that my children are able to truly master something-- to be amazing and the best at whatever they choose. As a kid, I was sure it was art. Well, first I was sure it would be singing until I got the lead in a church musical and froze on stage when it came time for my solo. The image of a million sets of eyes, all pitying me for my incapacitation, was permanently burned into my brain and made very sure I'd never be more than just a good singer. That's when I thought it would be art. I'd draw, I'd paint and sculpt, and when I was an adult or more than likely dead, my clay replicas of Adidas sneakers and Play-Doh houses would be worth their weight in gold. I'm not sure I see that happening for Cael. 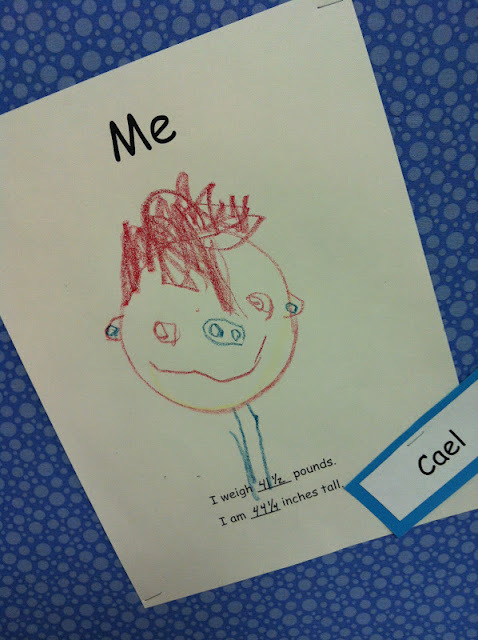 "Cael, I love your self-portrait. It's so... you." There's still hope for singing, right? I agree with Cael. He nailed it!